Our management team has been with us for over a decade and each of them has given us their unstinted support and commitment all through their time with us. They have brought to the organization quality and achievements that have consistently raised our stature in the industry to newer heights. On 7th April, 2005 Mr Krishnan R started his journey with UAE Exchange & Financial Services Ltd as its Manager-Internal Audit. He continued in the post till January 2006 and successfully handled internal audit of branches and administrative office. Then he was elevated as Manager-Finance with responsibility of Finance, Tax & MIS of the organization. Now he serves the Company as its Director and Chief Finance Officer monitoring the entire finance, Tax, Annual Budgeting and MIS operations of the organization in India. As Director and Chief Finance Officer, Mr Krishnan successfully raised funds from various banks for the company. Spearheaded financial aspects for transformation of 40 Crore company into a more than 200 Crore topline company. Established stronger financial reporting, enhanced cost controls and built new tax department. He played a key role in obtaining credit rating for the banking limits and in obtaining membership with CIBIL for the company. It was under his guidance an efficient MIS system for the company and branches was developed and influenced the management in making various decisions. Played Key role in positioning the company for IPO/PE investment to further augment the growth of the company.Played key role in the team for making Banking License Application for the Company. As Manager-Internal Audit, he was instrumental in developing standard audit questionnaire for branches, dealing room guidelines and daily audit of rate loading, receivables etc. Looking ahead into the future Mr Krishnan sees the PE/IPO Listing of the company, credit rating for the whole company and ISO accreditation for the operations. Mr Krishnan lives with his father, mother, wife and son in Cochin. His wife Ms Kavitha is also employed with UAE Exchange. He likes traveling, Sports and Music. 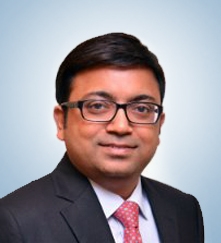 Mr. Johnee Praveen R joined UAE Exchange in March 2002. He has done his MBA from Bishop Heber College. He started his career in UAE Exchange as a entry level staff at Trichy branch. Then took charge of Salem Branch as Branch Head and was later promoted as Regional Head of Tamil Nadu.As RH of Tamil Nadu, he was responsible for overall region's growth and set goals for managers and staff. He took great care in motivating his colleagues and other officials of the company. With more than 12 years of experience in management and human resources, he is into planning, implementing, and evaluating employee relations and human resources policies, programs, and practices of UAE Exchange.Under his guidance UAE Exchange won the best company in providing in-house training, at the World HRD Congress in Mumbai. The 'Excellence in Training Award' was received by Mr. Johnee Praveen in a glittering ceremony from Mr. Lyonpo Dorji Wangdi, the Minister for Labour and Human Resources, Govt. of Bhutan. Mr. Johnee Praveen enjoys reading, preferably historical books as they are interesting and new. He also like listening to good quality music. Mr.Ratnakumar started his career in UAE Exchange Karunagapally Branch as the Asst Branch Head in 2002. He moved up the ladder at the dint of his exceptional diligence and performance to become the Chief Compliance Officer. He is a commerce graduate with master degree in business administration. He has successfully completed 11 years of service in the company. In the pursuit of proficiency, he worked in Mumbai and Kollam Region as Branch Head and Regional Head respectively. All his positions have given the opportunity to utilize his motivational attitude in sharpening the innate talents of his colleagues thereby carving the best hands for business. He always brought elevation in growth graph especially in the areas under his jurisdiction. In his present position, he has a general oversight of the company‘s compliance with applicable rules and regulations. He devises and maintains appropriate systems and controls for the company as a whole and advises management on compliance issues. He aspires to build a strong compliance department which ensures strict adherence to the statutory guidelines of RBI and FIU, also keeping a consistent understanding of the mission and values of the organization. To strengthen the areas of audit and inspection of the company for the guaranteed services to the customers. He is married to Aishwaria who is a homemaker and blessed with one child Riti. Mr. Prabakaran K.A joined UAE Exchange India in August 2001. He has done his MBA in marketing & HR, also an Executive education program from IIMB on ‘Monetary policy in INDIA’ and participated in ‘Foreign Exchange Analytics‘ 4 day’s workshop conducted by NSE & SIMSR. He is currently pursuing Post Graduate diploma in Financial Market Practice. As Branch Head of Kumbakonam, he received the award for the best performing Branch from our belovered chairman, in the first UAE Exchange Global Conference in 2003 in Cochin. With his guidance as manager, he took Mumbai Andheri Branch to All India No.1 in Forex vertical. As Regional Manager of Maharashtra/Gujarat/Goa, he took initiatives for opening 15 new branches and made it online within a year. He also nurtures keen interest in imparting Forex training and informative sessions to students of various institution such as KMA (Kerala Management Association), Xavier Institute of Management and Entrepreneurship, Sacred Heart College- changanacherry, AMITY School of Management and Birmingham Graduate school. He has lead the project of Multicurrency prepaid card ‘GOCASH’ and successfully done the launch. He has taken the Forex turnover to 1 Bio USD. At the dint of his great contribution to the Forex department, he has been promoted as Chief Product Officer. He aspires to keep a steady analysis of the market trends much before they are evident in the current scenario and plan strategically for successful implementation. Mr. Prabakaran KA is married to Ms. Punithalakshmi, who is a homemaker. They are blessed with a girl, Haripriya and a boy, Badrinath. His father is a retired BSNL staff and mother is a homemaker. Mr. Prabakaran is passionate about doing Yoga, playing Chess & Badminton. During his college days, he was a champion of the College Chess Competition in the year 1994-95. Mr.Jos Babu became part of UAE Exchange in February 2001 as Entry level Officer in MG Road Branch. Through his remarkable performance he moved on to be Business Head of Kochi Branch and later on elevated as Head -Insurance at HO. In the year 2004 he took over the charge of IT operations in UAE Exchange India as Head-IT. He is a Post Graduate in Business administration specialised in Information technology and is a holder of Post Graduate Diploma in IT. He also holds Sybase Database Administrator and Business Analyst from TAP Management Institute Manipal. In his tenure as Department Head, he was successful in gaining the Best Department Head Award from chairman of UAE Exchange Dr. B R Shetty. It was under his proficient guidance and leadership that IT Division achieved the prestigious ISO 27001:2005 Certification. Under his auspicious direction, the department has been instrumental in carving a special niche in the arena of customer delight by providing innovative products. In the year 2015, under his supervision, IT department was awarded with prestigious PCIDSS certification. Mr. Jos Babu leads the IT Department of UAE Exchange for the past 12 years. In his current leadership role, Mr. Jos Babu is responsible for the company's Software & Mobile application development, maintenance, support, Quality Assurance, and infrastructure management services across the nation. He intends to lead the organization to new heights, by taking projects from vision to reality. His dream of computer free and paper less working environment across the branches of UAE Exchange India is on the path of being a reality. He always see a vision to bring the business towards the customers at his door step in the most convenient and secured way. He is married to Elizabeth Tisha, an MA, B.Ed working as a teacher in High school. They are blessed with 2 daughters Mary Isabel Jos and Sophia Jos. He has genuine interest in the welfare of the society as he works with many charitable institutions which include catholic young men’s association, Red Cross, Jesus Youth etc. He also takes classes for children in Sunday school. He is also a good athlete, have won certificates and awards for Badminton championship in school and college level. He has also won the best Actor award in all Kerala Bible Kalolsavom in the year 2000. Hailing from Chennai, the biggest industrial and commercial centre of Tamil Nadu, Mr. Sudhakar's early career budded and flourished in the Pharma sector. Eleven years of Managerial experience in India Pharma Industry and subsequent two years experience in Middle East, evolved his business skills and acumen which later moulded the astute marketer in him. In 2001, he joined UAE Exchange Family as Business Head of Chennai Branch. His vision and worth along with significant contributions during the past 14 years, paved the purple carpet for his succeeding career. From Branch Business Head to Leading Sales Team at HO and later heading the Money Transfer & Agency Business, followed by Vice President - Business Development, clearly outlines his nature of dedication, hard work, prudence, adaptability and positivity. At his present capacity as CMO (Chief Marketing Officer), Mr. R Sudhakar is leading a strategic position in developing brand strategy, Market Research and Analytics. He has been instrumental in leveraging the full potential of existing resources of the company and has a vision to be a part of UAE Exchange Family's journey towards India's leading financial super power. To elevate UAE Exchange as a household brand in Financial, Travel and Service sector in India. During his corporate life he happened to visit various countries, which created a passion for travel in him and now his friend's acknowledge him as an "Avid Traveler". His journey and interaction with various cultures has moulded his global thinking and multilingual abilities. He is well versed in Tamil, Hindi, Kannada, English and Malayalam. His thrive to adapt to latest fashion trends, technology & social media engagement has always made him popular among his friends & alike. A state level basket ball player, athlete and fitness freak, his friends and family recollects his achievements and accolades during his college days. Having a doted family of wife and two kids, he loves to spend most of his leisure time with them engaging in weekend holidays, movies, dinner and long drives. A philotherian and nature lover, he holds strong opinion in environmental and social issues. Mr. Varghese Mathew joined the company in 2008. He attained Post Graduation from Bombay University and is also an alumnus from Indian Institute of management, Ahmedabad. He has more than 2 decades of incredible experience with other prominent MNCs. At UAE Exchange, he has managed key roles in corporate sales, business development and zonal operations across the country. At present he is Head of Alternate Channel of the company, mentoring and steering the business of Corporates & Agents. His hobbies include listening to music and travelling. Mr. Prakash Bhaskar is part of UAE Exchange Family ever since 2005, initiating as a Branch Head of Kayamkulam branch. He moved further to take charge of Trivandrum Vazhuthacaud and Kollam Chinnakada branches in the role of Branch head. Then his profile witnessed a gradual elevation from Regional Head to Zonal Head, then Allied Product Head and presently mentoring as the Retail-National Head. Economics graduate, then Post-Graduation in Marketing Management with a Diploma in Cooperative Banking has equipped Mr.Prakash to explore with the best traits essential for the industry. Even during school days, he was an active member of “The Bharat Scouts and Guides” attaining a prestigious honor of Rashtrapati Scout Award. He has 5 years of versatile experience with Geojith Financial service and Amway India Enterprises as financial advisor and Business Development Trainer respectively. At present he is leading the Retail Channel business of the company, diligently taking care of the responsibilities by identifying novel market opportunities through new set of customers and also to motivate sales team dispersed nationwide. He is always keen in developing and implementing effective sales strategies under Retail channel for Business development to achieve company’s sales objectives. His hobbies include reading books and travelling with innate quality of being a good listener making him imbibe essentials for his successful career and life. He is married to Vijayalakshmi, MSc, B.Ed, who is working as a teacher in Govt High School. They are blessed with two kids, Sai Krishna and SaiKarthik. His Father is a retired teacher and mother is a home maker. He loves to spend leisure time with his family. He is an active member of SatyaSaiSeva organization, which is a spiritual and service oriented organization. Apart from these, he is also an active member of “Readers Forum” which focused mainly on social, cultural andtraining activities in association with JCI.